Attend any type of sporting event and you will be wowed by more than the players’ athletic abilities. The latest technology in video scoreboards has become part of the main attraction. From live-action videos in full color to capturing shots of crowds and instant replays, there seems to be limitless ways to impress. Gone are the days of changing numbers manually or clicking electro mechanical relays. Navigating sophisticated features while also providing game-related information comes down to choosing the right display. Knowing your programming needs, along with a good understanding of what the latest scoreboard products offer is a good place to start. 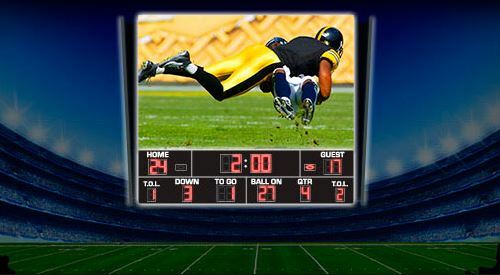 Light emitting diode, commonly known as LED, is one of two popular scoreboards on the market today. Incandescent is the other technology. Both have been around since the 1970s, but LED scoreboards improved brightness and viewing angle during the 1990s. Before these improvements became available for wide use, incandescent dominated the industry. This was due in part to the low upfront cost and long life of incandescent materials. LED was limited, but improvements mean these materials use a small portion of electricity than incandescent scoreboards. Additionally, LED scoreboards perform indoors, outdoors, at night and during the day. Another important feature to consider when selecting a scoreboard is how information is communicated to crowds. A wired scoreboard is known for its reliability. In many fields and stadiums, they have become a focal point and visual landmark. However, a wireless one has become a preferred option. As one of the newest forms of technology for scoreboards, wireless saves more money during installation. You never have to worry about where to dig up the field. Although you still need a power source for a wireless scoreboard, radio signals are used to send communications through the control panel. In addition to selecting wired or wireless, you can also get a portable scoreboard that does not need electrical cables. Instead, you can get one that runs on solar-powered batteries. With all the great technology for scoreboards, they have become broader used applications. Displaying stats, scores and times are minimal functions. You can now add entertainment and even generate revenue during a sporting event. Durability and customer service are two more universal features that will help you narrow your selection. Shop around and vet different suppliers to ensure you get the best product and service at an affordable price.